We prefer the F Sport versions for their appearance (especially grille) but nearly all GS models are priced lower than similar competitors. Value isn’t hard to find. We should all be as lucky as the 2019 Lexus GS mid-size luxury sedan. Despite the four-door’s relative age among competitors, the Lexus GS still looks handsome, offers reasonable luxury features and safety system, and competes with a lower price than more popular offerings from Mercedes-Benz and BMW. This year the GS is offered with a trio of engine possibilities: 4-, 6-, or 8-cylinder power. The GS 300 gets the turbo-4, the GS 350 gets a V-6, and the GS F gets a high-performance V-8. Its starting price is thousands less than competitors from Mercedes-Benz or BMW, just $47,500 for a GS 300 but we find better value in the GS 350 F Sport that adds a handful of performance upgrades. The high-po GS F commands nearly $90,000, and its value proposition falls down that high. The base GS 300 offers a 241-horsepower turbo-4 that strains to lug the big sedan around. The GS350 sports a familiar V-6 that makes 311 hp and feels up to the task. All-wheel drive is optional on the GS350, too. Regardless of what’s under the hood, the GS boasts a supple ride that’s mostly unspoiled by bigger wheels. Up front is where you’ll find us, coddled in multi-adjustable seats where we can admire the cool ambient LED lights. Base cars are equipped with all the necessities for mid-size luxury: 8.0-inch infotainment screen, Bluetooth connectivity, active safety features including automatic emergency braking, 17-inch wheels, and synthetic leather upholstery. The GS 350 adds some small performance hardware upgrades, leather, a 12.3-inch infotainment screen, and larger wheels for less than $54,000, which is where some of the bigger guys start with their V-6 versions. The finicky Lexus infotainment system can drive its users to distraction. The 2019 GS skips Android Auto and Apple CarPlay compatibility, which might otherwise be a remedy. Soft shapes and subtleties help the Lexus GS age well without becoming dated. The Lexus GS has aged well. It’s not just the best looking sedan in the Lexus lineup, it’s among the best looking mid-size sedans on the road. The Lexus corporate “spindle grille” is at its best on the GS, particularly the F Sport treatment that skips the razor-blade horizontal bars for a mesh insert instead. The tail sports strong horizontal themes, which combined with the alternating and undulating shapes and squared-off portions gives us hints of early 21st century BMW 7-Series. That’s a good thing. The interior is mostly horizontal, too, but hardly boring. The big beautiful gauges are sharp (except for the analog clock) and the cool LED ambient lights help add modernity to the aging cabin. The base engine in the 2019 GS is outgunned but available power helps and every ride is smooth. This year, Lexus pared down the number of available powertrains in the GS from four to three. A base turbo-4 provides propulsion in the GS 300, while a V-6 offers good power in the GS 350. A V-8 planted in the GS F’s snout is raucous fun, but perhaps not practical. The base engine is a turbo-4, borrowed from other applications in the Lexus lineup. 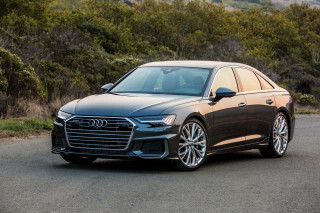 The 241-hp engine is saddled with more weight in the GS than those other cars, though, and it feels outgunned compared to competitors base turbo-4 engines. 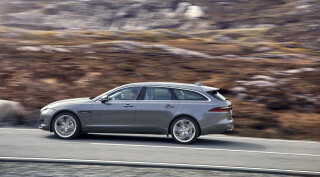 It’s teamed with an 8-speed automatic and rear-wheel drive only, which relieves it of the burden (and additional weight) of driving two more wheels. Like the RC 300, the GS 300 lacks responsiveness of its similarly powered competitors. Blame the transmission, blame the turbos, it doesn’t matter: it’s just a half-step behind our right feet. Thankfully, depending on trim level, the V-6-powered GS 350 isn’t a big step up in price or a big step down for fuel economy. 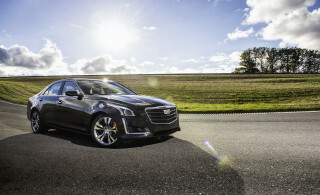 The 311-hp V-6 is paired to the same 8-speed automatic in rear-drive configuration, a 6-speed automatic with all-wheel drive. It’s more deliberate and progressive in its power delivery, a smoother ride with more than 25 percent more oomph than the turbo-4. Our preference is for the rear-drive GS 350 F Sport that bundles a handful of performance goodies into the sedan for good measure. The GS 350 F Sport adds a Torsen limited-slip rear differential and variable ratio steering system that adds sharper turn-in at speed and a unflappable tail on twisty roads—if you’re into that sort of thing. The GS350 F Sport includes rear-wheel steering that can dial in up to 2 degrees of opposite or tandem steering with the front wheels to draw a tighter line at high speeds, or virtually shorten the wheelbase at lower speeds. The 2019 GS gets all the basics right, including comfortable front seats. The 2019 Lexus GS blends luxury materials with adequate space for people and cargo. It lacks the opulence found in some of its competitors, but the GS sports a lower price tag. Base versions of the GS are equipped with 10-way power-adjustable front seats that are comfortable and offer an easy, natural driving position. Those seats can be upgraded to 18-way power-adjustable seats in F Sport versions that are more adjustable, but lack bolstering to fulfill the performance promise. The rear seats aren’t as accommodating. Average adults will fit fine in the outboard seats but the middle position is best left for children—or slim-shouldered adults. Lexus quotes nearly 37 inches of rear seat leg room, but our knees weren’t convinced. A 6-foot-3 editor struggled to fit behind someone of similar size. The Lexus GS sports more than 18 cubic feet of cargo room, but the trunk is relatively shallow. An easy passthrough makes storing long items easier, such as skis or multiple golf bags. Like other Lexus products, the ergonomics of the GS are headscratchers sometimes: the infotainment controller leaves an awkward gap in the center console that’s a magnet for crumbs. The smaller 8.0-inch touchscreen isn’t very well-integrated into the dash and the luxury-must analog clock in the dash is so small that it’s practically an eye test. The 2019 Lexus GS lacks official crash-test data. The 2019 Lexus GS lacks a complete set of safety scores. Short of official crash data, the GS is equipped with a suite of active safety features that includes automatic emergency braking, adaptive cruise control, and active lane control. Blind-spot monitors are standard on all versions of the GS. Outward vision on the Lexus GS is mostly good and the sedan is easy to park. Parking sensors are optional on the GS and helpful, but not strictly necessary. The 2019 Lexus GS gets the basics down, but its age shows in available options compared to the class. Lexus doesn’t miss the requisite luxury hardware for mid-size sedans in its GS but it lacks top options to compete with heavy-hitters in the class. Lexus sells the GS largely according to its powertrain, with a smattering of options among the bunch. The turbo-4 powered GS 300 comes with an F-Sport appearance package, the V-6-powered GS 350 is available with F Sport or all-wheel drive. The high-performance GS F is mono-spec and is a sleeper pick at stoplights. 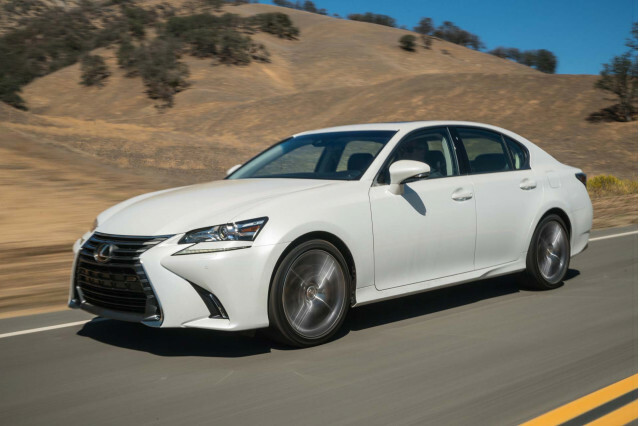 We settle on the V-6-powered GS 350 F Sport for around $53,000 to start because it’s less than comparably powered competitors and skips the shaving-razor grille of the regular GS. The GS 350 F Sport offers 18-way power adjustable front seats, leather upholstery, an upgraded 12.3-inch infotainment display, 19-inch wheels, navigation, a Torsen rear limited-slip differential, and variable steering setup. 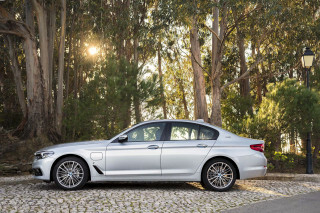 A similarly optioned 2019 BMW 540i costs close to $65,000. That’s relatively good value for buyers that aren’t looking for the latest and greatest. The 2019 GS F is tempting with its V-8 snarl and relative exclusivity, but at about $90,000 to start, its value falls down compared to a fully loaded BMW M550i xDrive that costs about the same. A slow-selling hybrid is gone but the 2019 Lexus GS 300 is relatively frugal. This year, Lexus dropped a slow-selling hybrid version of the GS. What’s left is a menu of 4-, 6-, or 8-cylinder power with respectable fuel economy across the board. With bigger wheels, the GS 300 F Sport rates 21/30/24 mpg. The V-6-powered GS 350 doesn’t stray far from those marks. The rear-drive version rates 20/28/23 mpg, the F Sport variant shaves 1 mpg across the board and all-wheel drive sinks it further by 1 mpg combined. The V-8 powered GS F is the thirstiest of the bunch. It rates 16/24/19 mpg. The GS lineup compares favorably to the Mercedes-Benz E-Class and BMW 5-Series, with which it competes most directly. 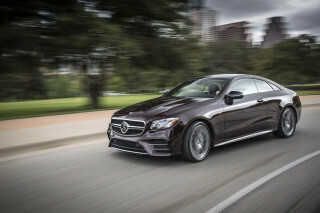 The E-Class lineup hovers around 24 mpg combined with turbo-4 power, the 5-Series rates up to 27 mpg with turbo-4 and all-wheel drive. Regardless of drivetrain, the GS is rated for premium fuel.